The Turkish police detained a Russian citizen of Chechen ethnicity who is suspected of complicities in the assassination of an authoritative Uzbek preacher of Islam in Istanbul, the Turkish Daily Sabah newspaper reports. Background: Abdullah Bukhari, 38, originally from Uzbekistan, was shot dead by unidentified people early morning on December 10. According to the Uzbek-language service of the RFE/RL, the late imam helped Uzbeks from Uzbekistan and Kyrgyzstan, providing them with shelter. 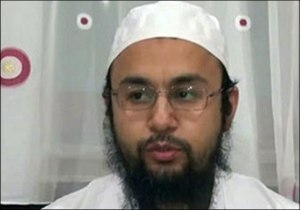 The late imam harshly has lately been criticizing the governments of Uzbekistan and Syria; he is also reported to have spoken about the necessity of Muslims’ participation in the Syrian war. Daily Sabah reports that a suspect, identified as a 27-year-old Z.M., was arrested by the anti-terror division of police in Istanbul. A pistol and a forged Ukrainian passport was found among his belongings. According to the newspaper, the Zeitinburnu District of Istanbul, where the late imam lived since 2006, is known for over 150,000 residents originally from Central Asia and other post-Soviet countries.